but the moment itself was a hazy blur — the TV screen flickered and figures and words scrolled on the bottom as the President spoke (“…patience and faith… and God bless America…”) against those incomprehensible images, and Jerry would not be able to remember, in all the following years, no matter how hard he tried, the moment when he finally understood that the world had changed, forever and ever, like a sentence that twists and turns, accumulating the detritus of thoughts and feelings and fears and memories and yearnings until one notices that somewhere along the way, a shift irrevocably altered its path and mood and tone so that upon reaching the final, abrupt period, one hesitates, waits, suspends a breath, to remember. 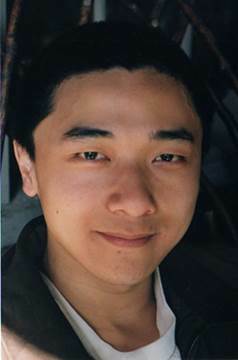 Ken Liu (kenliu.name) is an author and translator of speculative fiction, as well as a lawyer and programmer. His fiction has appeared in The Magazine of Fantasy & Science Fiction, Asimov’s, Analog, Clarkesworld, Lightspeed, and Strange Horizons, among other places. He has won a Nebula, two Hugos, a World Fantasy Award, and a Science Fiction & Fantasy Translation Award, and been nominated for the Sturgeon and the Locus Awards. He lives with his family near Boston, Massachusetts. I SEE WHAT YOU DID THERE KEN LIU. I SEE YOU.